After a world war, and an absence of twelve years, the sports fans of the British Empire once again welcomed back the British Empire Games. The year was 1950; the host country, New Zealand. The idea for New Zealand to even consider bidding for the right to host the games came from Mr Alwyn Moon of the NZ Amateur Athletic Association. Mr Moon had observed just how well the 1947 national athletics competition had run in Auckland, and especially how well Eden Park had coped with the intense level of competition at that standard. Moon subsequently called a meeting with like-minded officials to discuss the rather bold proposal: was Auckland in a position to host the 1950 British Empire Games? Ref: New Zealand Herald. Empire Games: Athletics 3rd Day, Eden Park. 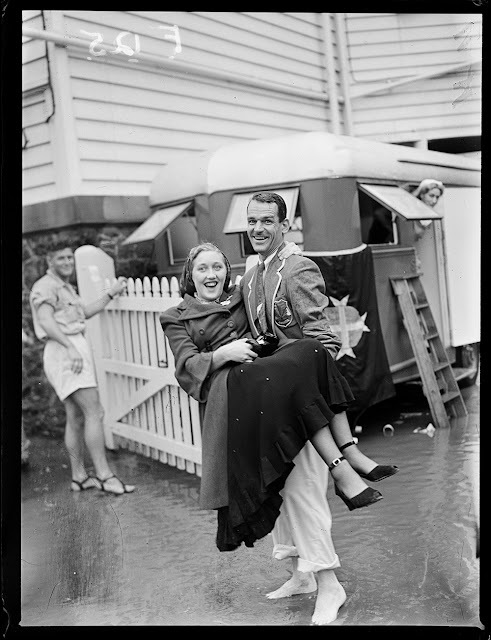 From: New Zealand Herald Glass Plate Collection. 1950. Sir George Grey Special Collections, 1370-589-24. Representatives from sporting codes across the city believed it was possible and began to explore the venture, while Mayor John Allum offered his backing, adamant Aucklanders would get behind the games. 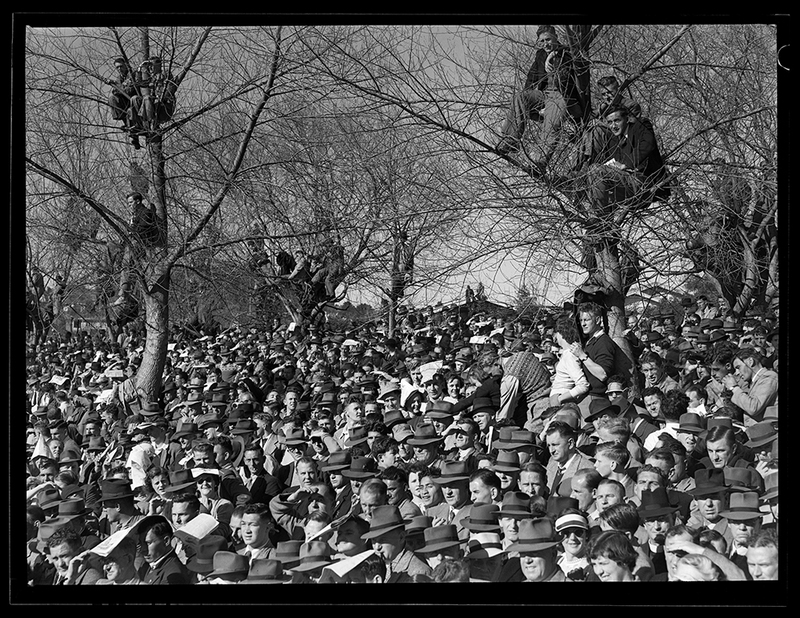 It soon transpired Christchurch was also keen to host, and so the New Zealand Olympic Association was able to offer two strong contenders as host city in their bid. The next step was application to the British Empire Games Federation, due to meet in London in August 1948, ahead of the Olympic Games. New Zealand won the hosting rights by a vote of 12 to 2. In the following weeks, planning moved swiftly. New Zealand had to decide on the host city: Auckland, Christchurch, or the late submission from Wellington. Wellington’s application was soon dismissed, Auckland was successful, Christchurch then lodged an appeal, but Auckland survived and the date was set. February 4th to 11th 1950. It left only fourteen months to organise the event. 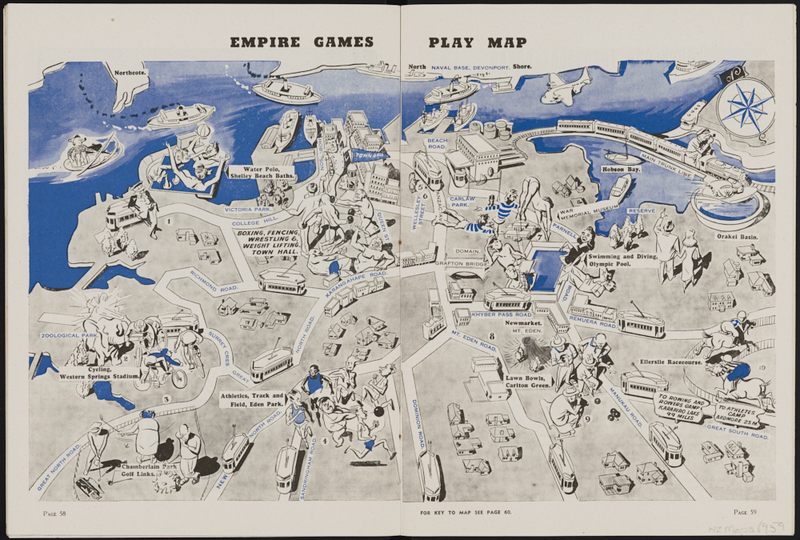 Ref: Empire Games Play Map. 1950. Sir George Grey Special Collections, NZ Map 6959. Papakura Military Camp was proposed for the competitors’ village, although it needed modifications to bring it up to international standard. Soon, though, even the most basic, most essential alterations were proving to be prohibitive, but a solution was found a few miles down the road - Ardmore Teachers Training College. 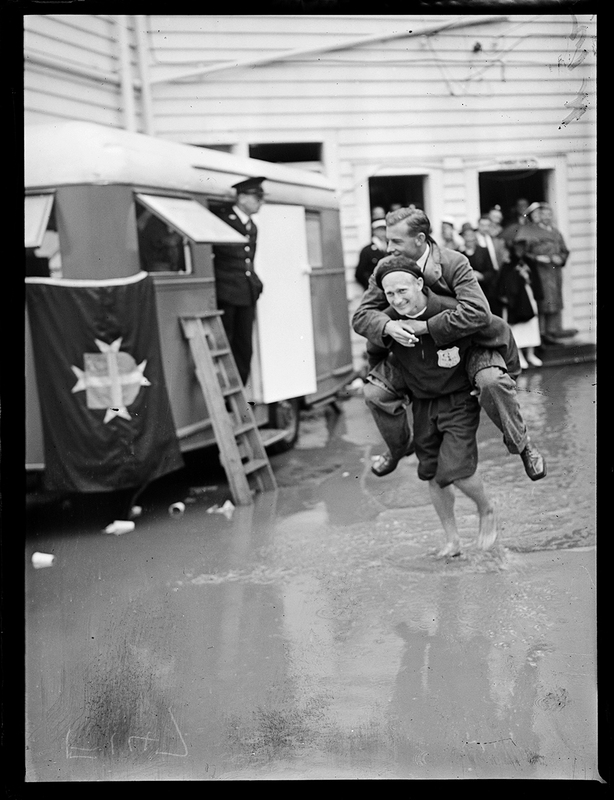 Formerly an RNZAF base, Ardmore had been renovated a few years earlier by the Auckland Education Board, and it proved an ideal place for the games village. Student summer holiday times were even extended to give the sports teams full and unencumbered use of the college, and teacher trainees were encouraged to be part of the pool of volunteers needed. Sporting venues were located across Auckland, from the Town Hall for weightlifting and Newmarket’s Carlton Green Bowling Club (sold in 2001 to developers) for the lawn bowls. 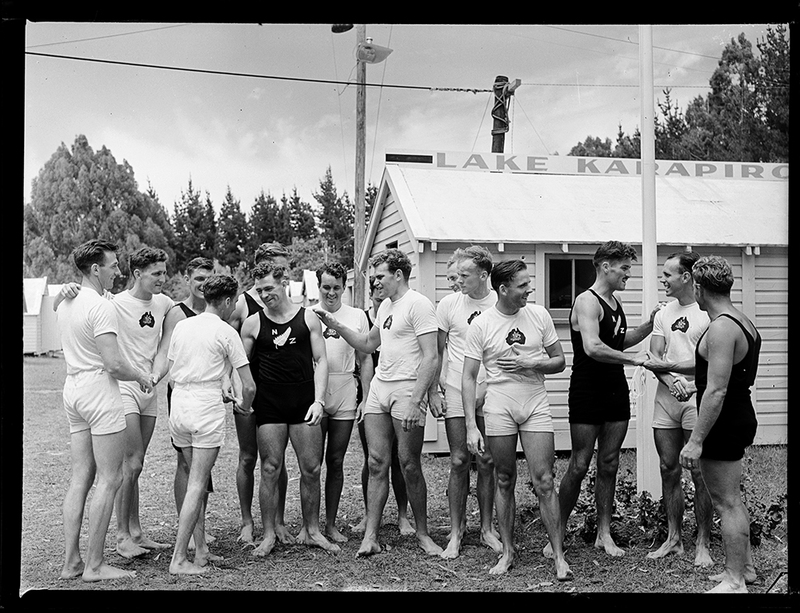 The area around Orakei was selected for the road race, and down in the Waikato, the newly created Lake Karapiro was the perfect venue for the rowing. Ref: New Zealand Herald. Empire Games Rowing: 1st Day Karapiro Lake. From: New Zealand Herald Glass Plate Collection. 1950. Sir George Grey Special Collections, 1370-603-19. By the time, the Games rolled around, Aucklanders were truly in the spirit. When the first team of competitors from Canada arrived aboard the Aorangi, a crowd of 5000 were at the waterfront to greet them. The New Zealand Airforce Band playing O Canada, and decorated buses drove the team to Ardmore. Ref: New Zealand Herald. Empire Games: Athletics 3rd Day, Eden Park. From: New Zealand Herald Glass Plate Collection. 1950. Sir George Grey Special Collections, 1370-589-16. There were of course the odd issues. According to the book Canada’s Part in the 1950 British Empire Games, there was a shortage of qualified officials for one of the new sports in the competition, the fencing. Some officiating had to be carried out by the competitors themselves. And coaches and managers were concerned about the food at the games village. It was so good, the athletes began to gain weight. The caterers were subsequently directed to serve smaller portions. 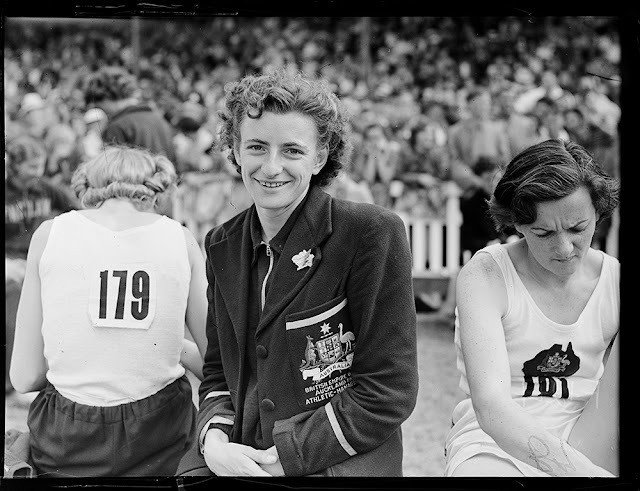 There were memorable triumphs such as the young Australian, Marjorie Jackson aka The Lithgow Flash who was first in the 100 yards, 220 yards, and as part of the Australian relay team, took gold in both the 440 yard and the 660 yards relay. And for Kiwis, it was the games where Yvette Williams took silver in the Javelin and gold in the broad jump. Ref: New Zealand Herald. Majorie Jackson at Eden Park. From: New Zealand Herald Glass Plate Collection. 1950. Sir George Grey Special Collections, 1370-593-08. Ref: New Zealand Herald. Yvette Williams signing autographs at Eden Park. From: New Zealand Herald Glass Plate Collection. 1950. Sir George Grey Special Collections, 1370-595-12. 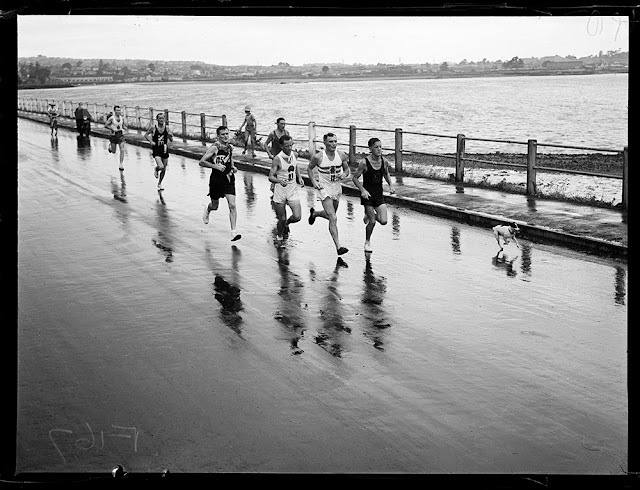 And then there was the Auckland weather, a challenge for both spectators and competitors. 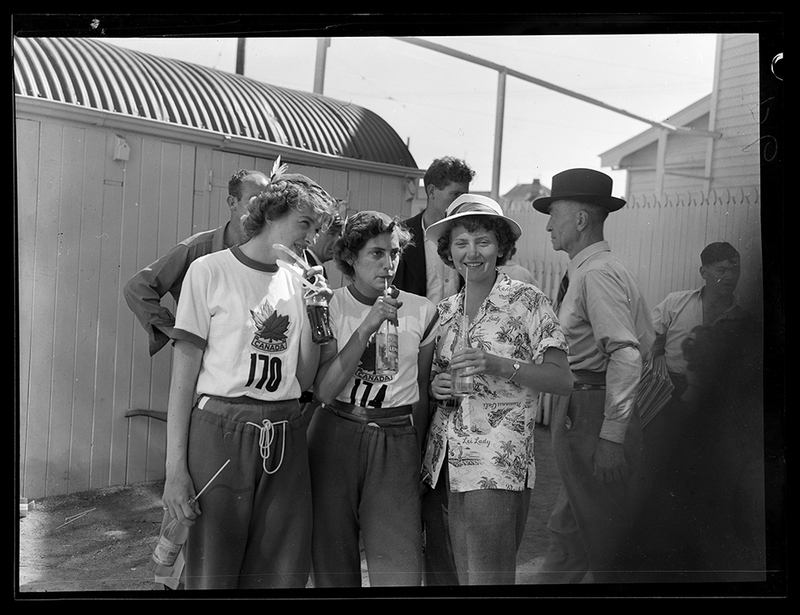 The first days of the track and field events at Eden Park were played out in glorious sunshine but on the last day, the park was drenched from the downpours. Ref: New Zealand Herald. Empire Games: 4th, The Final Day, Athletics Eden Park. From: New Zealand Herald Glass Plate Collection. 1950. Sir George Grey Special Collections, 1370-594-08. For the marathon runners, the day was especially tough. It began in hot sunshine, was followed by severe rain and ended in sweltering humidity. The shoes of England’s Jack Holden were so ruined by the conditions; he finished the last miles barefooted. Despite his bleeding and cut feet, Holden won by over four minutes. Ref: New Zealand Herald. Marathon runners on Mangere Bridge during the Empire Games. From: New Zealand Herald Glass Plate Collection. 1950. Sir George Grey Special Collections, 1370-594-02. A week after the Games opened at Eden Park, the closing ceremony was held at Western Springs, the venue for the cycling. The Canadians were to host the games four years later, having initially been awarded the (cancelled) 1942 games. In 1954 in Vancouver, famous for Roger Bannister’s Miracle Mile, the games were now run under a new name: The British Empire and Commonwealth Games. Ref: New Zealand Herald. Empire Games: 4th, The Final Day, Athletics Eden Park. From: New Zealand Herald Glass Plate Collection. 1950. Sir George Grey Special Collections, 1370-593-02. 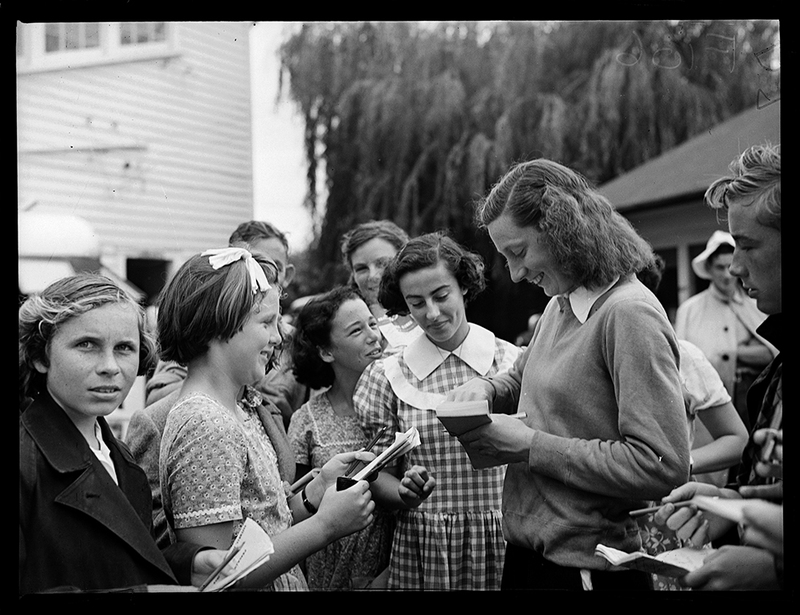 Auckland Libraries holds many resources for the sports buff, from heritage images to event programmes. An excellent read from the New Zealand perspective is The Story of the British Empire Games. 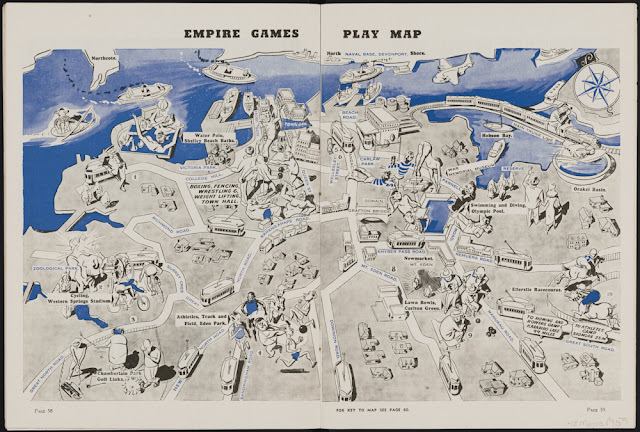 And from the perspective of a participating country, Canada’s part in the 1950 British Empire Games includes photographs, statistics, and analysis of the completion, including the planning in sending the team to New Zealand.